Why use a near-infrared frequency to measure suspended solids in biological reactors? 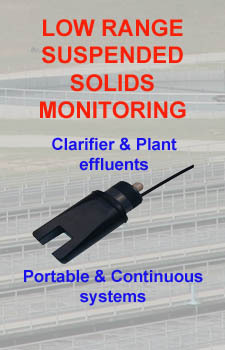 What are the advantages of measuring suspended solids with a continuous, online analyzer? What is the range of suspended solids that can be measured? Is there a correlation between suspended solids measured in mg/l and turbidity as measured in NTU's? Is there a method to automatically clean the optics of the sensor? 1. Why use a near-infrared frequency to measure suspended solids in biological reactors? 2. 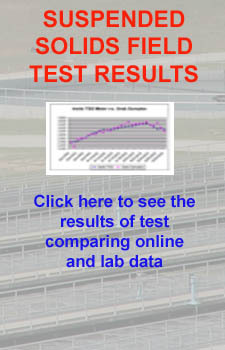 What are the advantages of measuring suspended solids with a continuous, online analyzer? 1. Balance the solids loading in the mixed liquor as flow changes during the day. 2. Reduce the time required to take manual grab samples. 3. What is the range of suspended solids that can be measured? 4. Is there a correlation between suspended solids measured in mg/l and turbidity as measured in NTU's? 5. Is there a method to automatically clean the optics of the sensor?